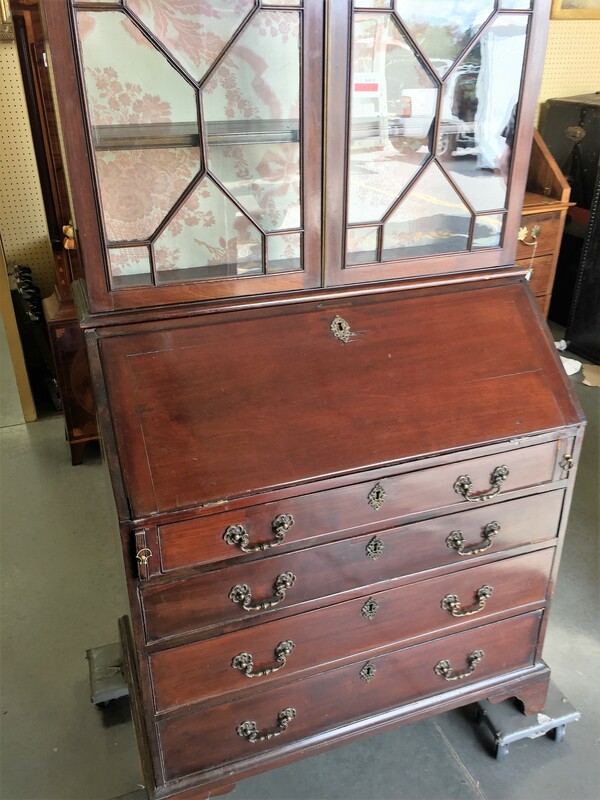 The English secretary desk is either a bureau bookcase or Secretary Bookcase. 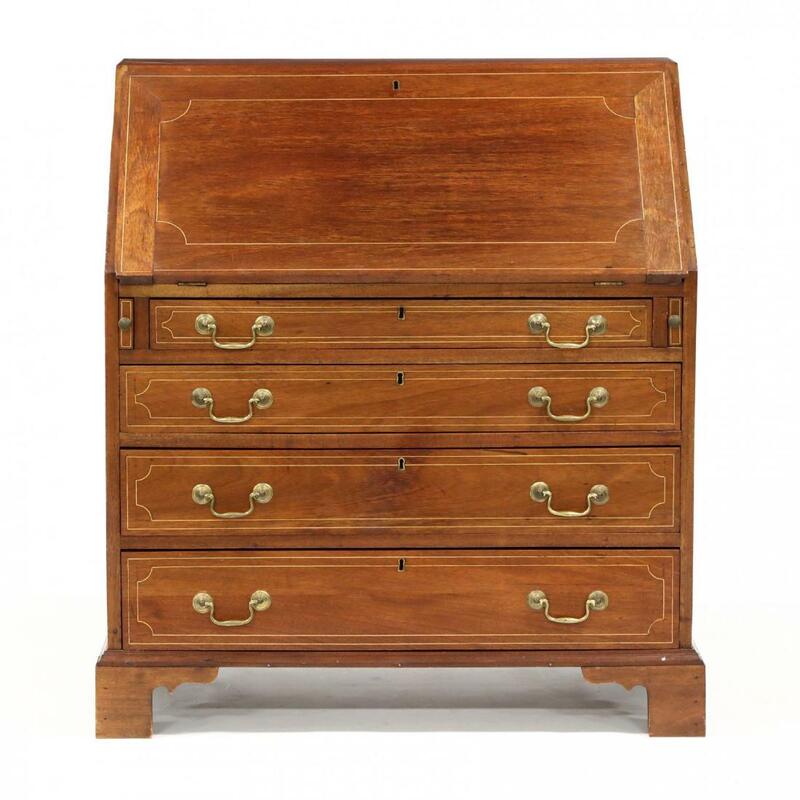 The bureau is a well-known style that features a drop-down surface. The partition slants backwards when closed and opens on a hinge to a flat position. These desks were often kept in public spaces in the house, as the door concealed the work space. Inside, several partitions or cubbyholes can usually be found. 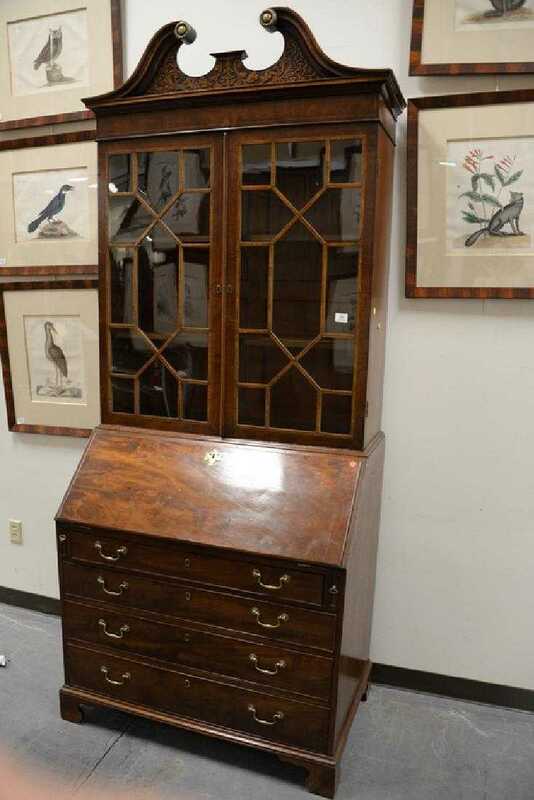 The Secretary bookcase has a false top drawer front that falls down to reveal a writing surface and pigeonholes and drawers inside. 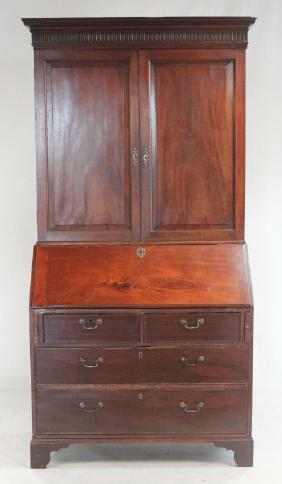 It is often a more formal look with incredible wood grains and inlays. 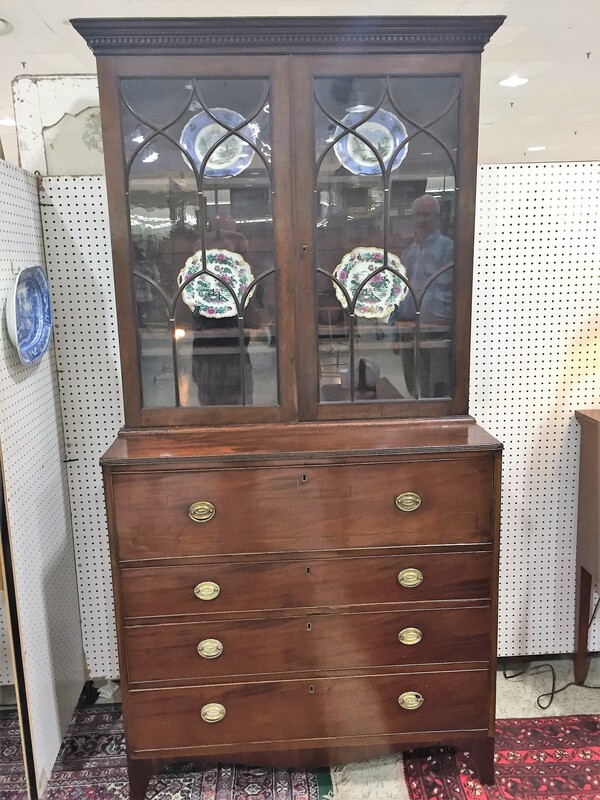 John finds beautiful Georgian and Regency Secretaries—always with incredible wood, inlays, and in outstanding condition. This style comes in many forms, including the partner desk, which is big enough to fit two. 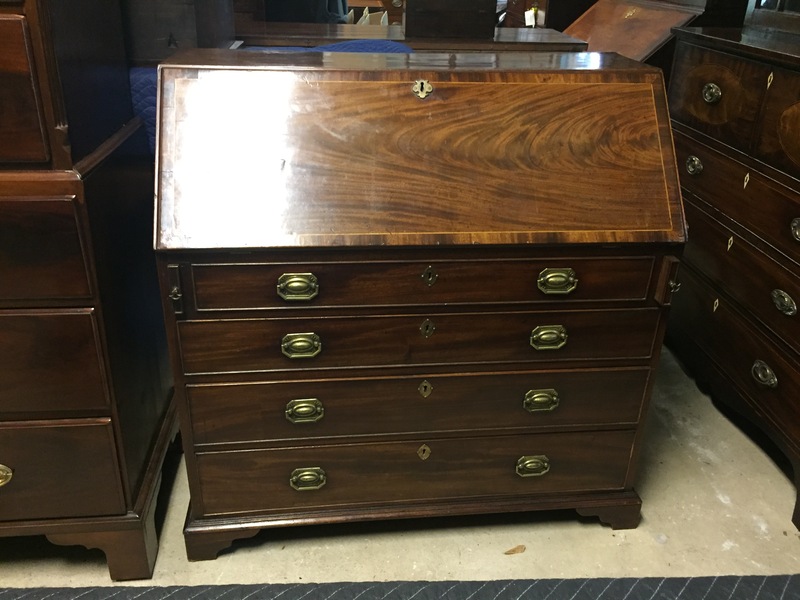 Often designed as a writing table, it usually has leather and brass casters. 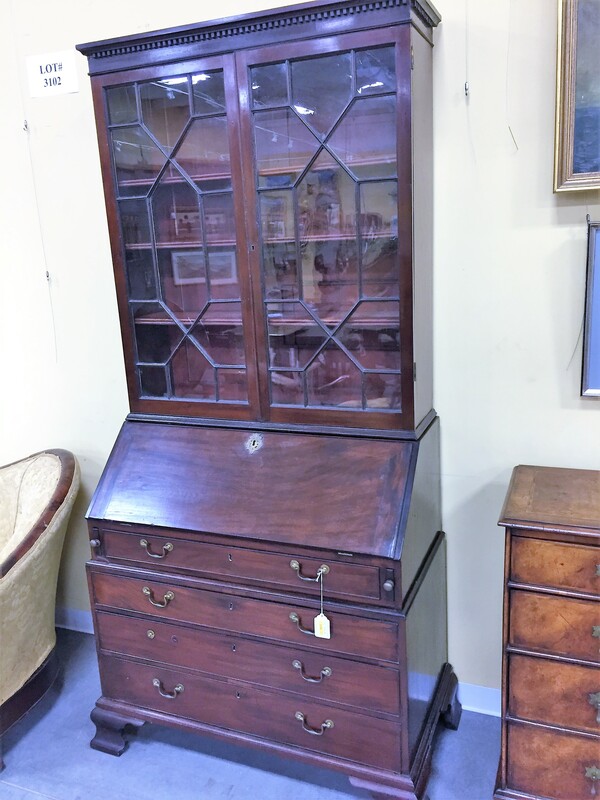 The kneehole desk is a period design with great storage and a small inset section for your knees. These are usually smaller but quite functional and desirable.